“We cannot recommend John, Tracy and Academy Divers enough. We originally came to them for an open water referral course with the plan to then complete our open water PADI certification overseas. After trying other dive centres abroad and having training with John and Tracy we realised there was nowhere better to complete our open water. They were fantastic through the nerves, panics, re-runs and all the rest. All the time their concern was us, our safety and to grow in us a love for diving. They were interested in us as people and as divers. Combined with their expertise in both diving and teaching, this made for the best experience. When we wanted to slow down, they helped us; when we wanted to take extra practice sessions in the pool they helped us. We are looking forward to becoming fully-fledged members of the dive club and enjoying diving with Academy Divers for many years to come." I just wanted to say thank you for a fab party for Ben yesterday. They thoroughly enjoyed it and I may have even created a few new converts to the world of diving. I could not fault the staff and volunteers on the day, they were truly inspiring. Parents dropping off commented on how welcoming everybody was at Academy divers, they were impressed by the organisation being offered drinks on arrival and sweets for the kids! Chris was brilliant with the girls throughout with a lovely natural disarming manner yet managing to control and create a fun interesting party. I can't thank him enough! Smiles on faces all round! All children said they thought their personal instructors in the pool were the best and I would agree having observed all! As a parent, I would add that the value for money is excellent, second to none. Yours is a professional but fun business that is rarely found today. Even on our return we were made most welcome, nothing was rushed, nothing was too much trouble, the event was an absolute credit to Academy Divers and I would not hesitate to recommend and will actively promote the brilliant service we experienced. I am even keen to get back into it myself having proposed that we get two things going at school one for the children and one for parents/staff?!! Thank you so much for an unforgettable, positively perfect 11th Birthday party for Alethia [ yes a few months late, but well worth waiting for!] , she loved it! 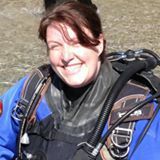 I started off with DSD ( Discover Scuba Diving ) whilst on holiday in Turkey in September 2013, so when I returned I spoke with a work colleague who is also an IDC instructor at Academy Divers. That is where it all started, within a few weeks I was in a wetsuit completing my confined water dives. Next step for me is Advanced Open Water, then on to Egypt for a diving holiday with my new family ( Academy Divers ). It's just amazing how much dedication all the staff have at Academy Divers. It's like visiting family, always a warm welcome and a hot cup of tea. Thank you all again for your warm welcome, patience and support. I can't wait for my next adventure. I have been fortunate during my diver and instructor training to have worked with 5 course directors, each of whom has brought something different to the table. Tracy took myself and two other instructors through our IDC staff course. She broke the PADI system of teaching down into easy to understand sections and was always prepared to go the extra mile to ensure that each of us understood exactly what we were doing and why. She fitted around our already busy schedules and always approached each and every session with a big smile on her face (it did help that she usually came armed with biscuits!). Tracy is easy to work with and made learning fun. 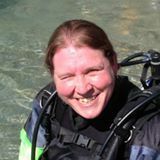 She is passionate about diving and will help anyone thinking of becoming a PADI professional become a better diver and a fantastic instructor. Julie - "Fantastic weekend thank you for skill and patience"
Del- "Thanks to academy staff for making me feel welcome and helping me to gain my open water padi"
Jo- "Thank you so much guys for a great weekend! As much as I moaned most of the way through it I did enjoy it (despite nearly throwing up in the water!) and I am feeling proud of my little self! Big thank you to Simon, Lynne, Mark and Sarah for helping me throughout my dives, u were all so patient and supportive with me and I appreciated it! Hope to see you all again soon! Jo x Ps - great curry last night!" Layla (Travis' mum) - "Travis has had a fantastic time today. He loved his second dive. Thank you very much for your time and unlimited patience with him x"
Copyright (c) 2016 Academy Divers.